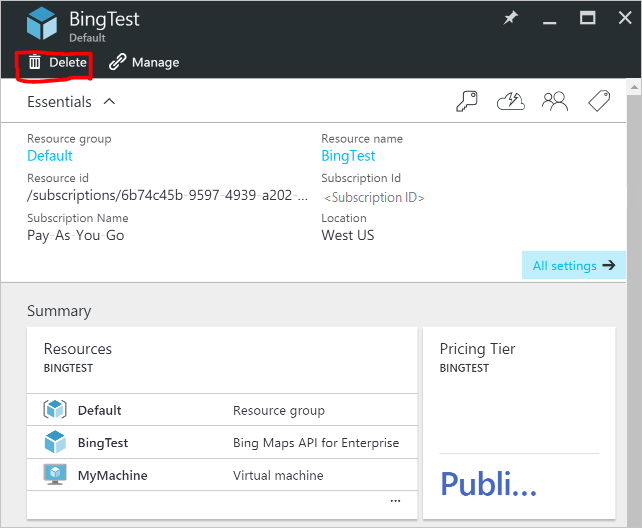 External services are published by third party software vendors in the Azure marketplace. For example, SendGrid is an external services that you can purchase in Azure, but is not published by Microsoft. External services are published by companies that are not Microsoft, but sometimes Microsoft products are also categorized as external services. External services are billed separately. They are treated as individual orders within your Azure subscription. The billing period for each service is set when you purchase the service. Not to be confused with the billing period of the subscription under which you purchased it. You also receive separate bills and your credit card is charged separately. Each external service has a different billing model. Some services are billed in a pay-as-you-go fashion while others use a monthly based payment model. 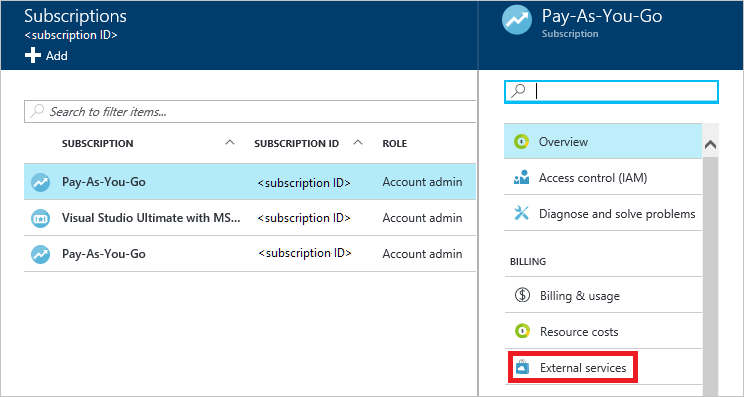 You need a credit card for Azure external services, you can't buy external services with invoice pay. You can't use monthly free credits for external services. 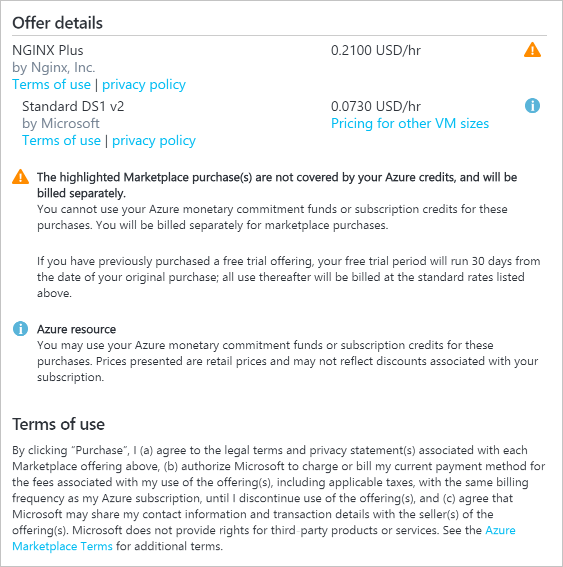 If you are using an Azure subscription that includes free credits, they can't be applied to external service bills. Use a credit card to purchase external services. Sign in to the Azure portal as the account administrator. In the Hub menu, select Subscriptions. 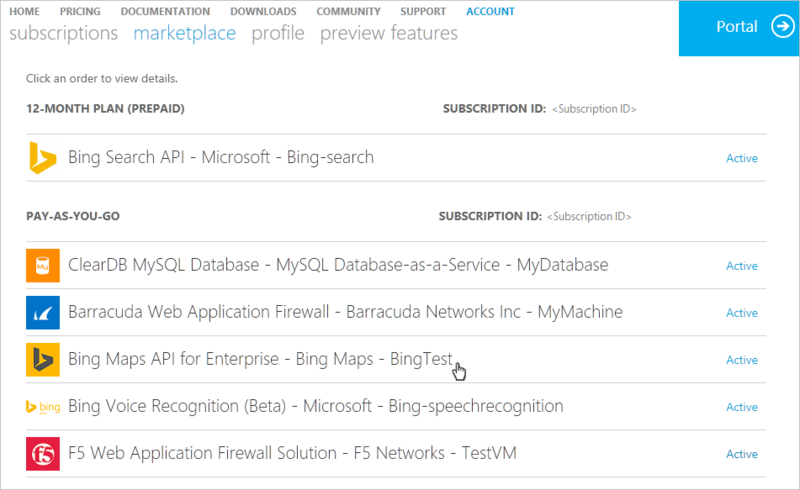 In the Subscriptions blade, select the subscription that you want to view, and then select External services. You should see each of your external service orders, the publisher name, service tier you bought, name you gave the resource, and the current order status. 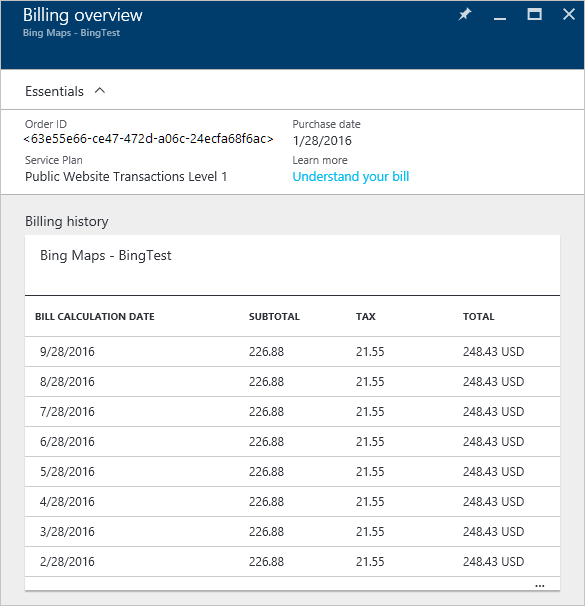 To see past bills, select an external service. From here, you can view past bill amounts including the tax breakdown. EA customers can see external service spending and download reports in the EA portal. See Azure Marketplace for EA Customers to get started. 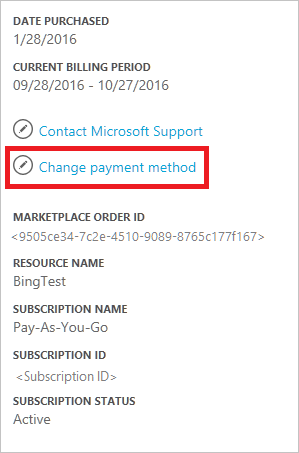 Update your payment methods for external service orders from the Account Center. If you purchased your subscription with a Work or School account, contact support to make changes to your payment method. 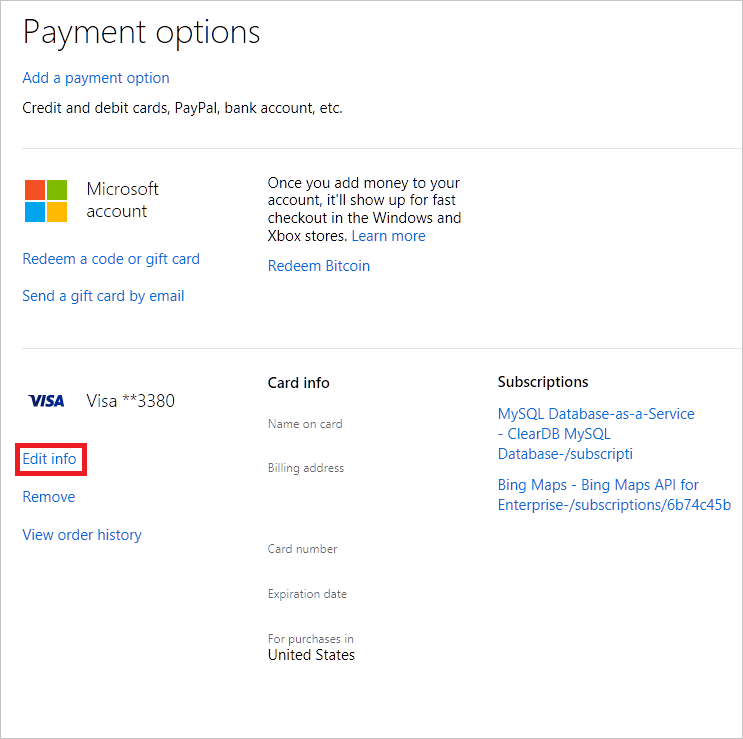 Click Change payment method on the right side of the page. This link brings you to a different portal to manage your payment method. Click Edit info and follow instructions to update your payment information. If you want to cancel your external service order, delete the resource in the Azure portal.